it's been a glorious sunny day here in Oxfordshire, Spring is definitely on the way. I have another thank you card to share with you today having used a lovely sketch over at Fuzzy Wuzzy Challenges and inspiration taken from Cupcake Inspirations challenge blog. I have carried the sketch over to the inside of the card. This is a gorgeous card Jenny, love the papers and of course the LOTV Stamp! Oh Jenny,what a sweet card! this is amazing! thanks for joining the corrosive challenge! This is so cute! 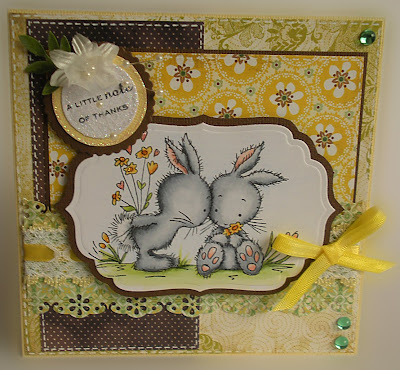 Love the cute little bunnies and the colors that you have used! Thanks for joining us at The Fuzzy Wuzzy Challenge! This card is so cute and the papers you've used are grateful! Oh what a wonderful and sweet card. I´m a BG junkie and i love this DP. Love the glittery sentiment. Very pretty card !! 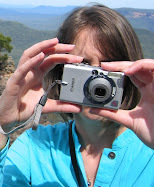 Thanks for joining us @ The Corrosive Challenge Blog ! Oh wow, this is gorgeous Jenny. What fabulous colours and your image is beautifully coloured. Wow, beatufiul! The image is just darling. So glad you joined us for this weeks CIC! Aw, they are such a sweet pair of bunnies! Love your color combo and your embellishments. Thanks for sharing your card with us at the Fuzzy Wuzzy Challenge this month. Your coloring is wonderful! Adorable card! I just love the bunnies. This is lovely, what a cute couple. Your coloring rocks! Oh my what a beautiful card! Love the LOTV image! Thank you for playing along with Cupcake Inspirations! Oh this is totally cute! OH MY! This is sooo adorable!!! Thanks for playing along at Cupcake Inspirations this week!